Mount Carmel is mentioned in the Bible in 1 Kings 18:16-40. It was there that the prophet Elijah took his stand against the pagan prophets of Baal and Asherah. He revealed to them all the power of Our Lord and God. During the 12th Century, the Carmelite Order was founded on Mount Carmel. "Take, beloved son, this scapular of the order as a badge of my confraternity and for you and all Carmelites a special sign of grace; whoever dies in this garment, will not suffer everlasting fire. It is the sign of salvation, a safeguard in dangers, a pledge of peace and of the covenant"
Later that day, St. Simon Stock was called promptly by Lord Peter of Linton: "Come quickly, Father, my brother is dying in despair!" St. Simon Stock placed his large Scapular over the dying man and prayed that Mary would keep her promise. The man instantly repented of his sins and died in a state of grace. Blessed Pope Gregory X was buried wearing the Scapular, only 25 years after the vision. When his tomb was opened over 600 years later, the wool scapular remained perfectly intact and had not degraded in the least. By the wearing of the Brown Scapular, Mary promises to pray for us at the hour of death. And more than that - intercede with God to obtain the graces we need to remain in the state of grace. And if we are in a state of mortal sin, she will intercede for us that sanctifying grace may come back into our soul before we die. Mary also promises that the Scapular will be “a safeguard in danger.” Those are the two promises by Mary for those that wear the Scapular. 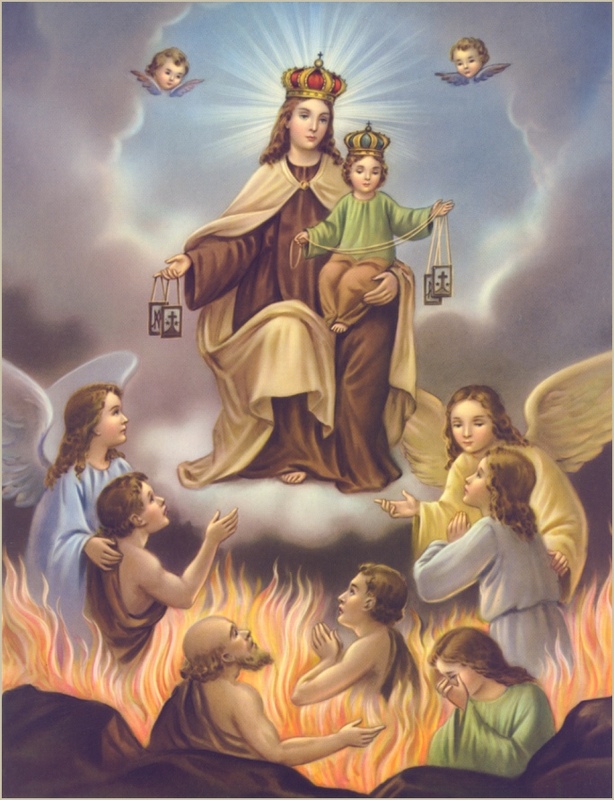 Now, does Mary's promise (Whoever dies wearing this scapular shall not suffer eternal fire) allow us to live a sinful lifestyle and go to Heaven? No! One who wears the scapular must be in the state of grace, live their lives according to their vocation, pray the rosary, and try to live a holy life. This must not be viewed as magical or a superstition. 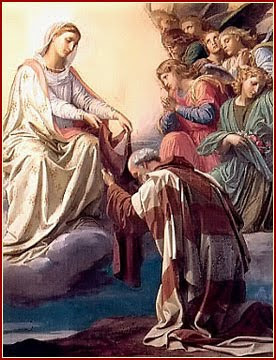 I was enrolled in the Confraternity of the Brown Scapular the Tuesday after I was baptized and received into the Catholic Church in 2004. My priest said there was once a man that lived a horribly sinful lifestyle that also wore the Brown Scapular. He hated everything holy and thought that just because he wore the Scapular, without a conversion of heart, that he would enter Heaven. Now the time of his death came, and his scapular began to glow red and burn his skin. 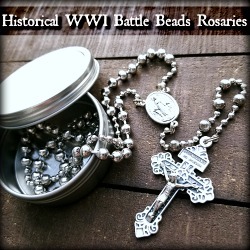 It became so intense that he had to remove the Scapular. He then died. Wearing the Scapular must be the outward sign of an individual's trust in the Blessed Virgin Mary. 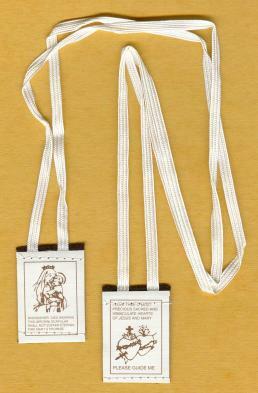 Pope Pius XII said that wearing the Brown Scapular should be an outward sign of one’s consecration to the Blessed Virgin Mary. Click here to browse various Scapulars for sale. In May of 1957, a Carmelite priest in Germany published the unusual story of how the Scapular saved a home from fire. An entire row of homes had caught fire in Westboden, Germany. The pious inhabitants of a 2-family home, seeing the fire, immediately fastened a Scapular to the main door of the house. Sparks flew over it and around it, but the house remained unharmed. Within 5 hours, 22 homes had been reduced to ashes. The one structure which had the Scapular attached to its door. The hundreds of people who came to see the place Our lady had saved are eye-witnesses to the power of the Scapular and the intercession of the Blessed Virgin Mary. Another Scapular story that bears repeating took place in 1845. In the late summer of that year, the English ship, "king of the Ocean" found itself in the middle of a wild hurricane. As wind and sea mercilessly lashed the ship, a Protestant minister, together with his wife and children and other passengers, struggled to the deck to pray for forgiveness and mercy, as the end seemed at hand. Among the crew was a young Irishman, John McAuliffe. On seeing the urgency of the situation, the youth opened his shirt took off his Scapular, and, making The sign of the Cross with it over the raging waves tossed it into the ocean. At that very moment, the wind calmed. Only one more wave washed the deck, bringing with it the Scapular which came to rest at the boy's feet. All the while the minister; a Mr.Fisher, had been carefully observing McAuliffe's actions and the miraculous effect of those actions. 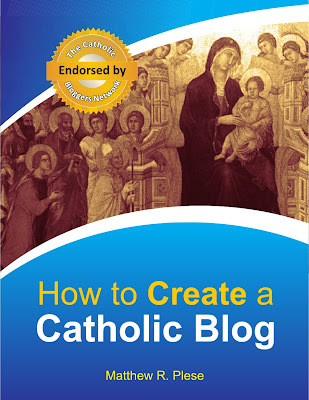 Upon questioning the young man, they were told about the Holy Virgin and Her Scapular. Mr. Fisher and his family were so impressed that they were determined to enter the Catholic Church as soon as possible, and thereby enjoy the same protection of Our Lady's Scapular. One of the most extraordinary of all Scapular incidents took place right here in the United States. 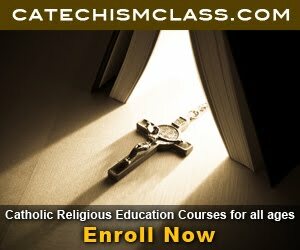 It happened around the turn of the century in the town of Ashtabula, Ohio, that a man was cut in two but a train; he was wearing the Scapular. Instead of dying instantly, as would be expected he remained alive and conscious for 45 minutes -- just enough time until a priest could arrive to administer the Last Sacraments. These, and other such incidents, tell us that Our Blessed Mother will take personal care of us in the hour of our death. So great and powerful a Mother is Mary that She will never fail to keep the Scapular contract, i.e. to see that we die in God's grace. O God, Who hast honored the Order of Carmel with the special title of Thy most Blessed Mother Mary, ever Virgin: mercifully grant, that we who celebrate her memory this day with solemn office, may be shielded by her protection and deserve to come to everlasting joys: Who livest and reignest. Almighty God and everlasting Father, who willed that your only- begotten Son be clothed in our mortal nature, we humbly beg you in your boundless goodness to let your blessing flow out on this garment, which our holy fathers have sanctioned to be worn by those who renounce the world, in token of innocence and lowliness. Let it please you to endow it with such blessing, that he (she), who is to wear it, may likewise put on our Lord Jesus Christ, your Son, who lives and reigns with you, in the unity of the Holy Spirit, God, forever and ever. Then he says the prayer "We earnestly beg you," etc., see below; after which he sprinkles the habit with holy water. If only the habit is to be blessed, the blessing begins with the versicle Our help etc. (see above) and concludes with the aforementioned prayer "We earnestly beg you," etc. Lord, hear our humble entreaties, and help this servant of yours, whom we enroll in the holy sodality of the Carmelites, to be ever constant and true to his (her) proposal, and to serve you in all holiness. Protect your servant, Lord, with the saving grace of peace; and as he (she) confides himself (herself) to the patronage of blessed Mary, ever a Virgin, let him (her) be safe from all adversaries. Then he blesses the new member with the sign of the cross, using the prayer "May almighty God," etc., below. By the delegated power which I enjoy, I receive you into the confraternity of the holy order of Carmelites, and enroll you as a partaker of all the spiritual benefits of this order; in the name of the Father, and of the Son, and of the Holy Spirit.